575 pages. This report contains an overview of the world mattress industry. It focuses on the 50 most important mattress manufacturing countries , i.e. Argentina, Australia, Austria, Belgium, Brazil, Bulgaria, Canada, Chile, China, Croatia, Czech Republic, Denmark, Estonia, Finland, France, Germany, Greece, Hungary, India, Indonesia, Ireland, Italy, Japan, Kuwait, Latvia, Lithuania, Malaysia, Mexico, the Netherlands, Norway, Philippines, Poland, Portugal, Romania, Russia, Saudi Arabia, Serbia, Slovakia, South Africa, South Korea, Spain, Sweden, Switzerland, Taiwan (China), Thailand, Turkey, United Arab Emirates, the United Kingdom, the United States and Vietnam. Data on international trade of mattresses cover (in addition to the 50 countries listed above), 10 other countries, for a total of 60 countries. The report consists of five parts. 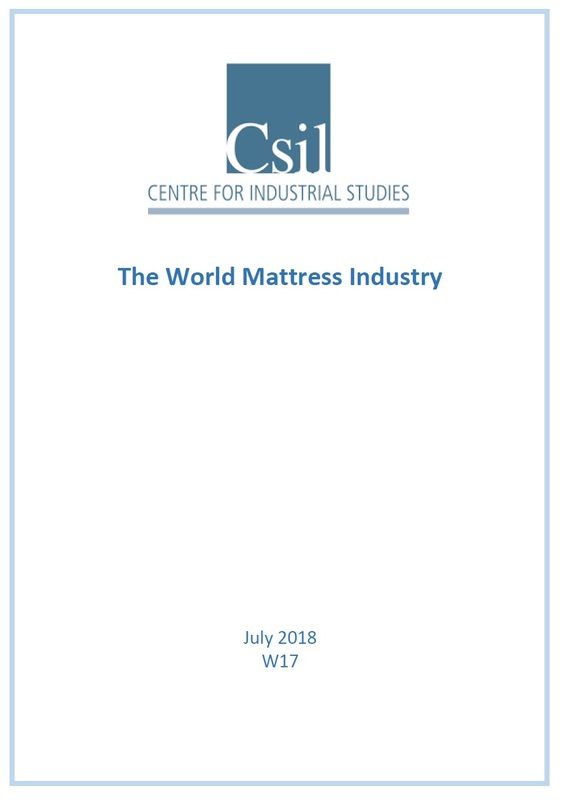 Part I deals with production, consumption and international trade of mattresses and includes a section on world mattress statistics and an appendix with methodology notes. Part II consists of 50 country analysis sections, which include: - Mattress production, apparent consumption, exports, imports for the years 2008-2017 and forecasts of yearly changes in mattress consumption in 2018-2019. - Major trading partners (countries of origin of imports and destination of exports of mattresses) - Information on breakdown of production by material (innerspring, latex, foam, other) and on quantity if available - Short profiles of major mattress manufacturers - A selection of mattress retailers operating in the country Part III includes detailed profiles of 30 major mattress manufacturers worldwide. Part IV and Part V contain website addresses of selected mattress industry suppliers and full addresses of firms mentioned in the report.